Graffiti hall of fame was a grassroots youth space and venue set up by Tony Spanos in the early 1990s a place where various youth and indigenous groups could gather, fund raise and put on community events. The space was a meat works before it became a community venue and continued to operate once its usage had expanded. I remember a rave there when at 6am a guy walked through the dancing crowd with a full size pig carcass on his back before disappearing into the factory leaving a trail of freaked out ravers looking on in disgust. Tony would often turn up at Redfern’s Block which was just up the road and distribute meat for free, his interaction with the Redfern Aboriginal community lead to him sponsoring indigenous sporting teams like the Redfern All Blacks. Tony invited local Graffiti crews to completely paint the factory, various artists who were previously competing for space in the area now would be painting side by side. The space became completely covered in murals and wild style graffiti. Tony then organised legal murals around Sydney creating spaces for artists to display their works. The “I Have a Dream” mural in Newtown and the long strip of works along the Bondi promenade are the most well known of these projects. 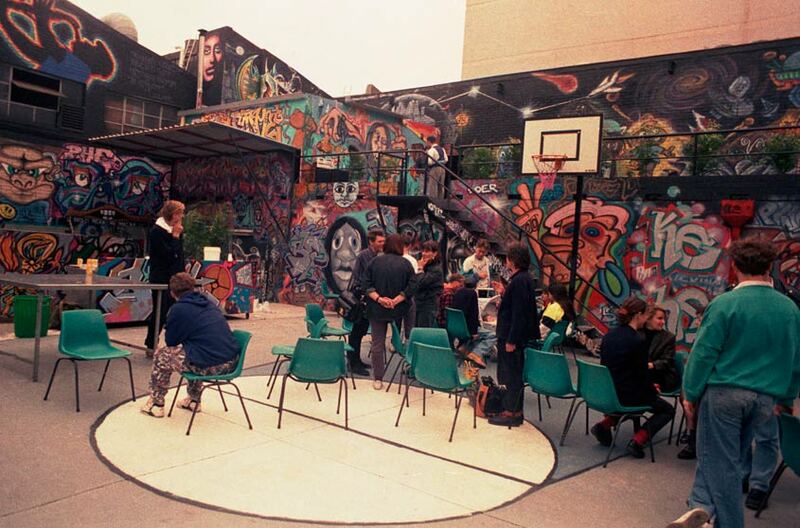 In the techno explosion of the nineties Graffiti Hall of Fame became legendary in hosting a multitude of events helping a number of promoters gather traction with their events. 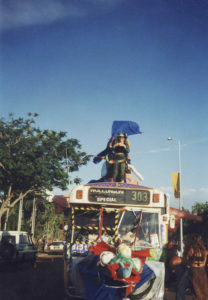 The Ohms Not Bombs collective raised money for their bus that was taken around Australia on an environmental anti nuclear tour in 1998. 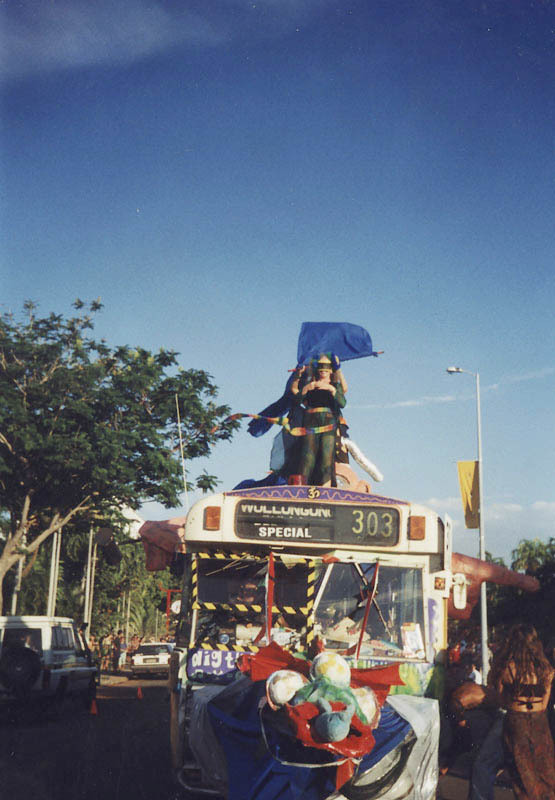 Tony purchased and renovated the Peace Bus around this time and drove it up to Jabiluka as the Ohms bus had broken down, ferrying the crew back to Sydney after both vehicles were involved with the protests against the proposed Jabiluka Uranium mine. 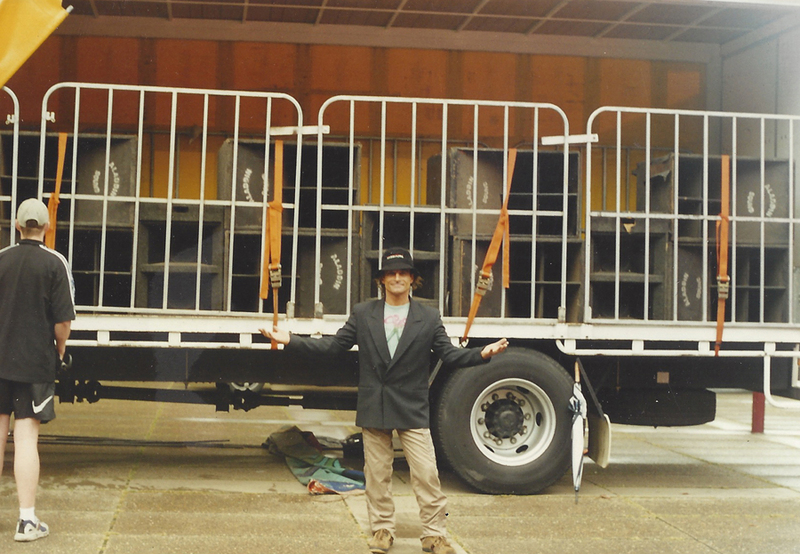 So many amazing, spirited and empowering events occurred at the space but Police were always coming along with alleged noise complaints turning up at the front gate and asking for Tony. Tony would appear from the dancing throngs to talk to the Police and was always very animated in challenging the legitimacy of the complaints and would steer the argument into the wider arena of debate about Youth needing community, suicide prevention and corruption. 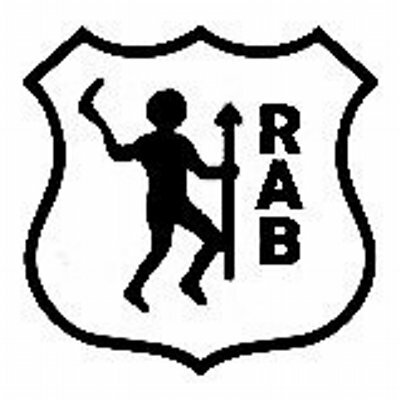 On more than one occasion he ended up being taken away by Police. I heard one account that the Police used to draw straws when it came to having to visit the space on noise issues. Pressure on the space increased as new housing developments mushroomed in the area and property developers saw the colourful Graffiti covered youth centre as a blight to their lucrative market for calving up industrial zoning into housing units. Graffiti Hall of Fame’s venue’s legitimacy was challenged in court first unsuccessfully and then the powers that be placed an injunction on events happening. The uncertainty spanned several years in the late 90’s and early 00’s. 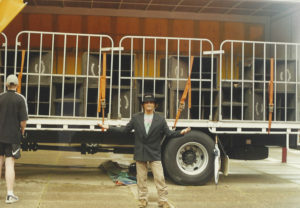 The injunction was challenged at great cost to Tony ending at a Protest vigil/festival outside the supreme court in Macquarie Street that saw a bright pink fire engine,the Full Aladdin sound system on a flat bed truck and the Peace bus parked beneath the court as the case ensued.Events still occurred on a smaller scale after this and finally when the space ceased to operate as a meat works some events happened inside the building. Finally in early 2004 was it eventually shut down and was sold.